Grated garlic : 1 tea spoon or as per taste. 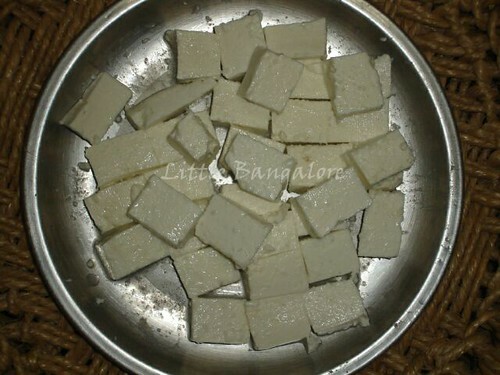 Cut paneer into small pieces and wrap them in the corn flour. 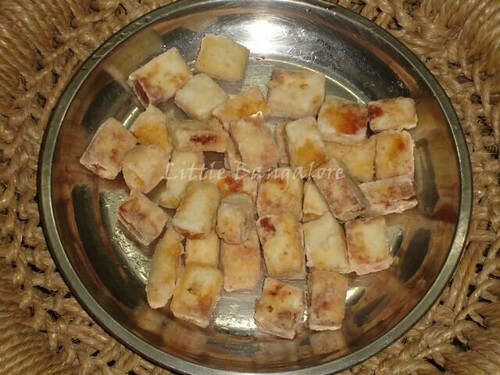 Fry wrapped paneer pieces in the hot oil till they turn golden reddish in color. 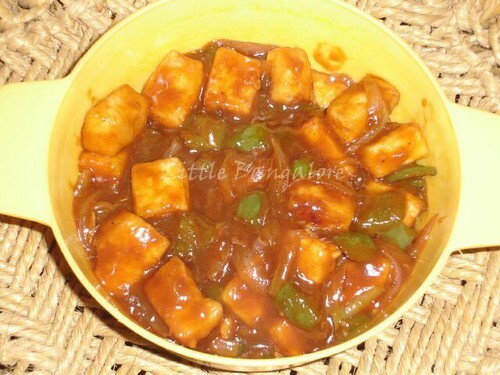 Keep the fried paneer pieces aside. 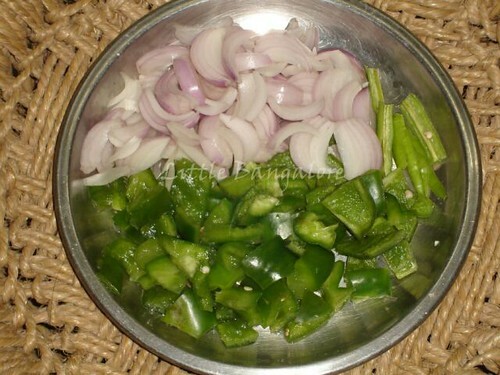 Chop onion, capsicum and green chilly as shown in the picture. Add two table spoon of oil in a fry pan and heat it for 2 minutes on high flame. Add grated ginger and garlic to the fry pan and heat it for 30 sec on high flame. 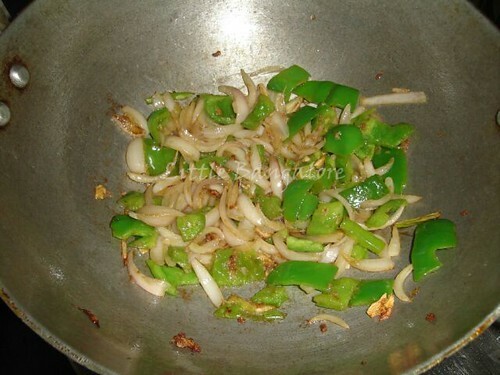 Add chopped onion, capsicum and green chilly to the ginger garlic paste in the pan. Mix well and let them cook for 10 minutes. 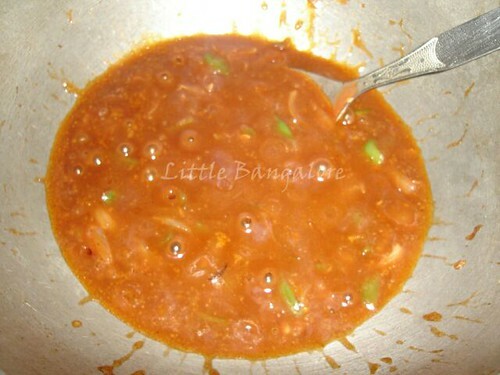 Add soya sauce, tomato sauce and chilly sauce to the vegetable mixture. In a separate bowl mix 2 table spoon of corn flour and 2 table spoon of water and add it to the vegetables in the fry pan. Add salt and pepper powder to the gravy in the fry pan as per taste. If gravy seems to be thick then add water accordingly and boil it. 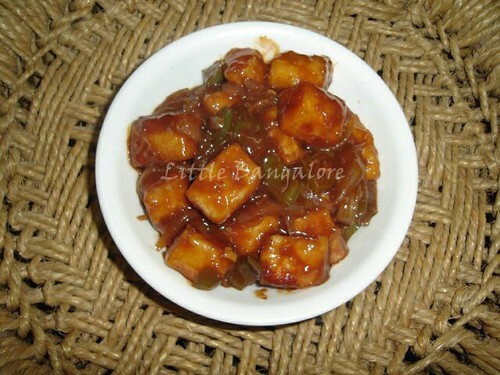 Add fried paneer pieces to the gravy and heat it for 2 minutes on medium flame. Add water, oil and salt in a container. Heat it for 3 minutes on high flame. Add noodles to it and heat it for additional 15-20 minutes on medium flame. Make sure that the noodles are boiled properly as sometimes it takes extra time. After boiling, separate out the noodles from water with the help of chalni. Chop capsicum, carrot, onion and cabbage and keep them aside. Put oil in the pan on high flame and heat it for 30 secs. Add all the chopped vegetables to the pan. Add salt and black pepper to the vegetables. Cook it for 15-20 minute on medium flame. Make sure the vegetables are cooked well. 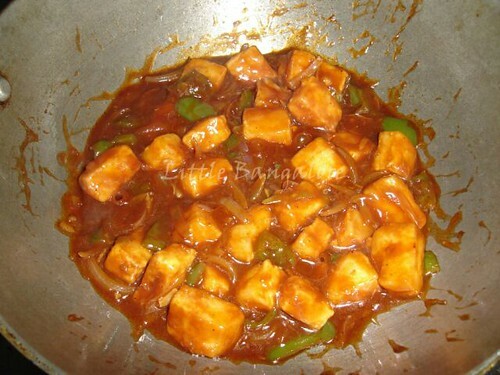 Mix vinegar, soya sauce, green chilly sauce and tomato sauce in bowl. Add the mixed sauces to the cooked vegetables and mix them well. Add the boiled noodles to the vegetables and mix them well. Hot and spicy vegetable chowmein ready to serve (With green chilly sauce and ketchup if required).